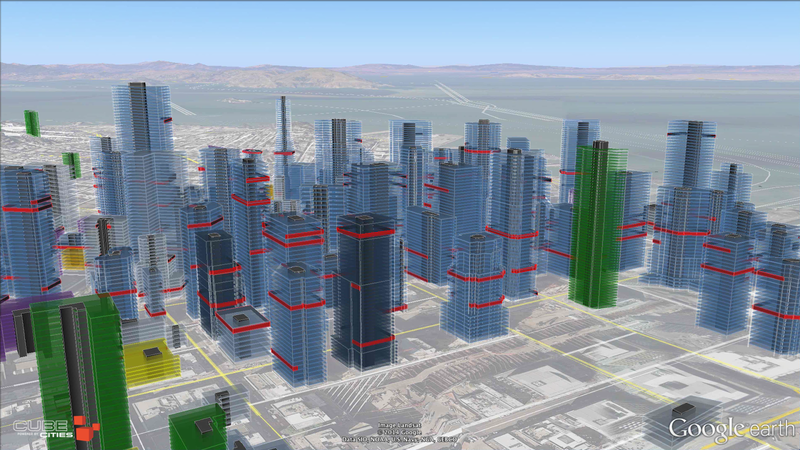 This is a data visualization of the office vacancy rate downtown San Francisco. Recorded at 6.7% in Q3 2014 by CBRE. 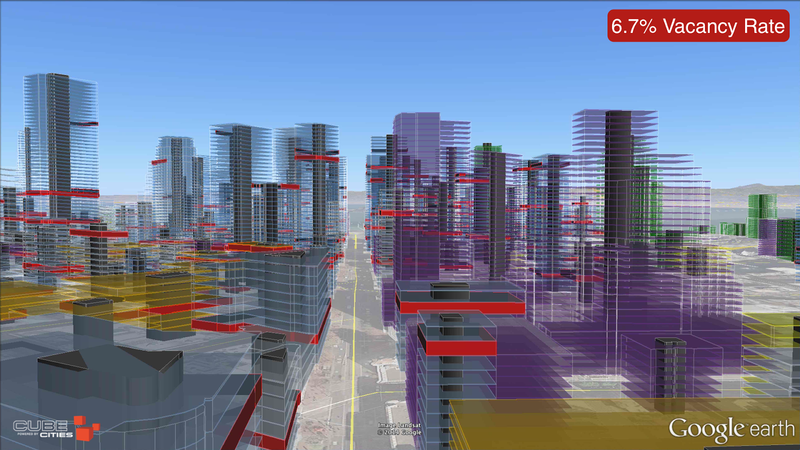 The visualization illustrates buildings in and around the financial district with color codes indicating the building class. Blue buildings indicate commercial properties with available office space. Red floors approximate available space. Watch the video below to see a tour of the district.